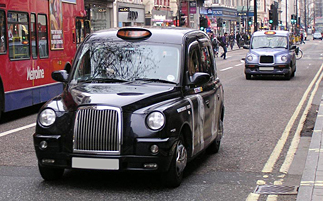 Cab Aid one of the UK’s leading specialist providers of replacement licensed vehicles. Working in partnership with cab owners and operators, insurers, brokers and other intermediaries. Established in 2004, Cab Aid provide vehicles to the hire and reward industry nationwide. If you've been involved in a non fault road traffic accident Cab Aid can help get you back on the road and back in the business fast. In a non fault accident you need your vehicle repaired to the highest quality and quickly, but you don't want to be out of pocket - Cab Aid can help. 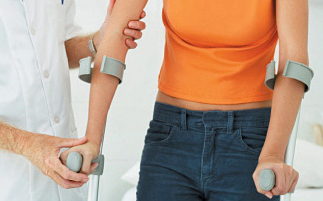 If you've been injured as a result of a non fault accident Cab Aid can ask one of their expert panel solicitors to contact you about your claim. With 11 years of experience specializing in the licensed taxi and private hire sector Cab Aid can rapidly and accurately assess your case, providing a detailed understanding of the needs of taxi cab operators and drivers. Customers expect and receive the highest level of service and care. As an accident management company specialising in the hire and reward sector Cab Aid has developed a distinctive understanding of and relationship with licensing authorities. This and our Full range of licensed specialist vehicles allows us to respond quickly and effectively. Cab Aid offers a full range of services for taxi operators, drivers and chauffeurs, allowing your case to be fully managed. A claim can be handled from the accident to provision of a replacement vehicle, completion of any repairs or settlement where a vehicle is written off, and claims for injuries to driver. Cab Aid recognizes that operating, driving taxis and cabs is around the clock business, and accidents can occur at any time. Operating a 24/7 service we can ensure someone is always available to help when you need it. Working exclusively in the hire and reward industry Cab Aid operates its own fleet of over 300 vehicles, with an average lifecycle of 2 years. Having its own fleet allows Cab Aid to respond rapidly to customers' vehicle needs across the UK. Cab Aid’s breadth of experience in the market has helped optimize its owned and operated fleet to meet the majority of customers' needs providing greater control and improved service. Take a look at some of the reviews we have received from our existing customers. "We needed a reliable company to handle our busy private hire rental business’ non fault claims. CabAid was the sensible choice with their knowledge of the industry and with our range of vehicles, we knew this could have caused other companies issues, but not CabAid. From sales to the inside team, we have been fully satisfied that all of our requests have been met in this difficult environment, which is the private hire market. Accurate reporting and a sympathetic attitude means we can rely on “The CabAid way”. I would thoroughly recommend using CabAid for all your non fault needs". "CabAid are the fourth emergency service for cab drivers. They will get you from a non fault disaster into a hire cab and back to work within 24 hours, no messing about just top quality, easy service for operators and drivers. They provide the latest models, like for like replacement vehicles and are easy to contact and to deal with. One less thing to worry about". "We have been working with CabAid for nearly a year now and we could not be happier! Our claims are handled in a professional and timely manner and our customers are treated with the respect they deserve, in what is often a stressful time. Moreover, regular reviews with our dedicated account manager allow us to continue to improve our working relationship. I highly recommend CabAid to all, whether you're a self-employed private hire driver or a large fleet owner". "We have used CabAid on many occasions, they have always been extremely helpful and professional. We recommend using CabAid for any non-fault accidents". "We have used CabAid now for 4 years, for assistance with our non-fault insurance accident claims. CabAid have always supplied replacement vehicle's promptly and to a great high spec. Our accounts manager, Georgina, has always been very efficient at organizing all the benefits CabAid have to offer. She has made life a bit easier for me as an MD and I would not hesitate to recommend their services". 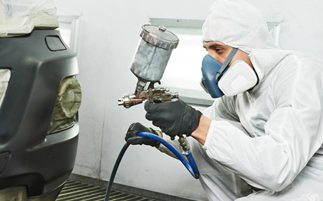 "As a busy, expanding body shop we needed a first class accident management company we could work alongside. We have been using CabAid for many years and feel like they are now part of our company. From day one CabAid have been professional, friendly and knowledgeable with all our drivers and staff. All we need to do is make one phone call and CabAid do the rest of the work. This allows us to focus on other aspects of our company. We have, and will continue to recommend CabAid to all our drivers and outside customers". Cab Aid Limited is an appointed representative of Auxillis Limited which is authorised and regulated by the Financial Conduct Authority under Reference Number 312423.